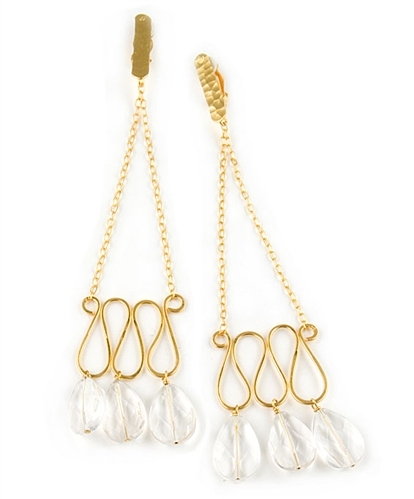 24k gold vermeil Chandelier earrings from the "Eclat de Nuit" collection by Eloise Fiorentino. 14cm (5.5") and have a clip back. evening outfit. Also makes a wonderful gift. Exclusively in the UK from the Farfallina.net Jewellery Boutique.